I hate sanding. If there’s a more tedious, boring, unforgiving, time-consuming chore, I can’t think of it at the moment. 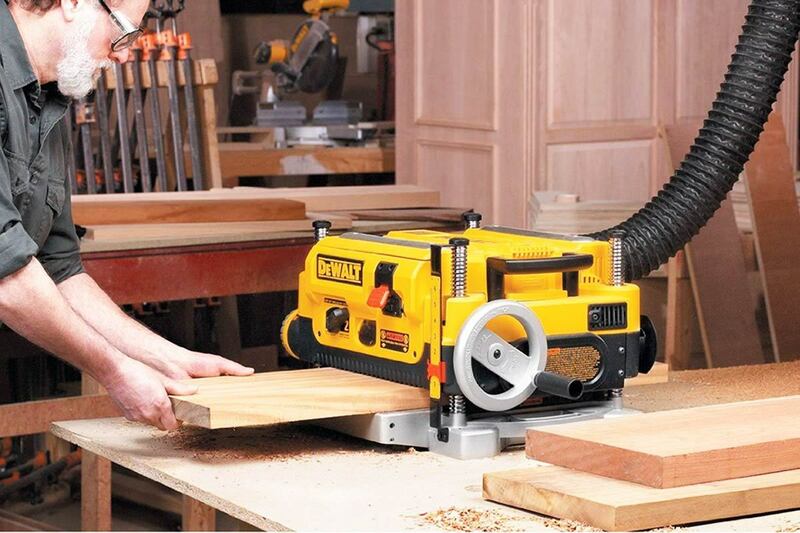 So any tool that makes sanding faster, better and cheaper? Oh, yeah--I’m in. 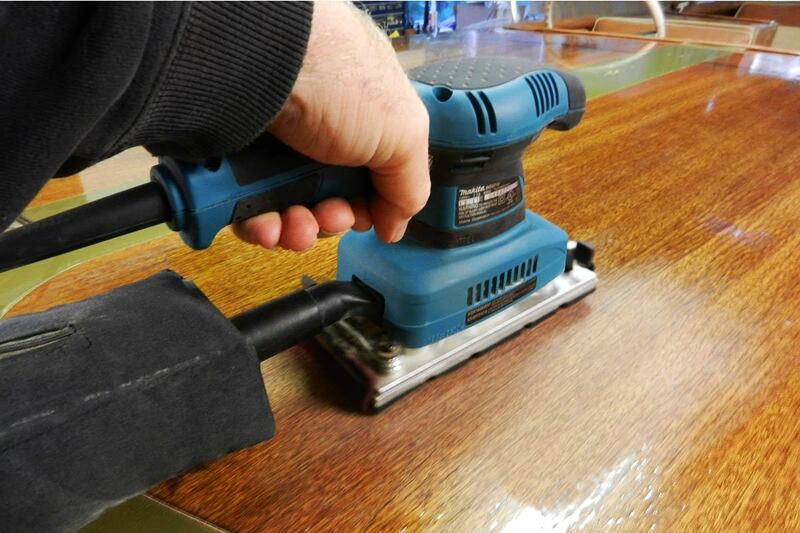 This particular tool, the Makita BO3710 Finishing Sander, came to me courtesy of a tip from a high-end professional wooden boat builder and restorer named Curtis Bauman. In his shop one day admiring his work on a beautiful, gleaming triple-cockpit mahogany Chris-Craft from the 1930’s, I asked Curtis—who’s been restoring boats for decades—how he gets the glass-smooth, miles-deep varnished finish on the decks and hulls of his spectacular boats. You should see that finish—it’s like looking into fifty feet of clear water. Mirror-smooth surfaces like that keep winning wooden boat shows for Curtis and his customers, and I wanted to replicate that finish on my own humble wooden boat project, a 1958 Dunphy. So I went out and bought one ($62.95 at my local hardware store, although you can pick one up for quite a bit less online: $48.50 on Amazon). I bought a package of fine-grit abrasive pads, too. What a difference! This little sander, even though it’s not very powerful, reduced my between-coats sanding time dramatically. With 11,000 oscillations per minute and a dead-flat cast aluminum shoe at its base, the Makita made short work of sanding the marine varnish smooth on my own wooden boat. 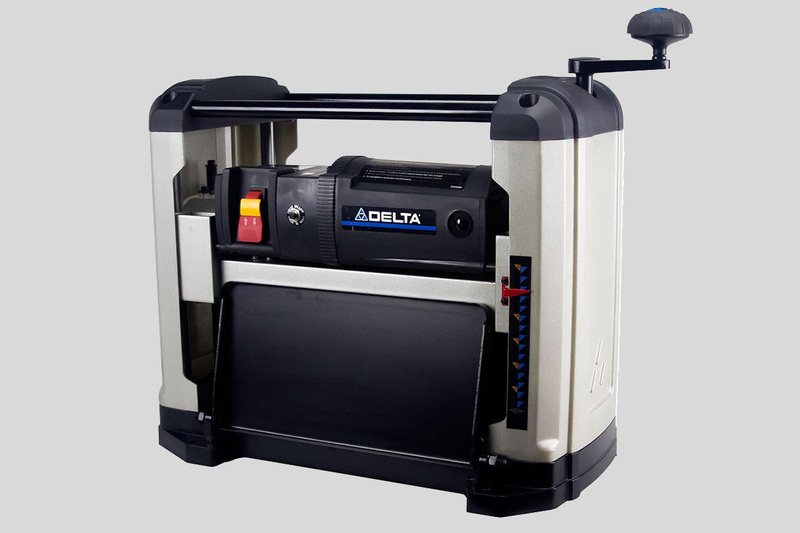 The BO3710’s ability to accept abrasive pads is a big plus—they produce much less dust, can be re-used again and again after a simple wash with water, and the pads don’t leave the grit, divots, dust and surface irregularities sandpaper often does, either. Also, using abrasive pads reduces the cost of consumables significantly, I’ve found. Any tool that can liberate me from sandpaper and save money at the same time has earned my eternal gratefulness. The Makita is easy to use—it only weighs three and a half pounds, and the counterbalancing built in to the base means it won’t wear out your arm. Simple clips hold the abrasive pads in place, and make it easy to change pads or paper, too. I do have few minor gripes with this timesaving tool—the dust collection bag, despite what the manufacturer says, definitely isn’t “high capacity.” It’s pretty tiny, so you’ll be emptying it regularly, unless your shop has a dust vacuum set-up. The on/off trigger is nicely sized, and works well even when you’re wearing gloves, but the lock-on switch might fit the finger of a five-year-old. Mostly, though, this excellent tool has helped me stop being a hater—sanding between finish coats of varnish, polyurethane or paint has become a simple, quick task rather than a dreaded, despised chore. 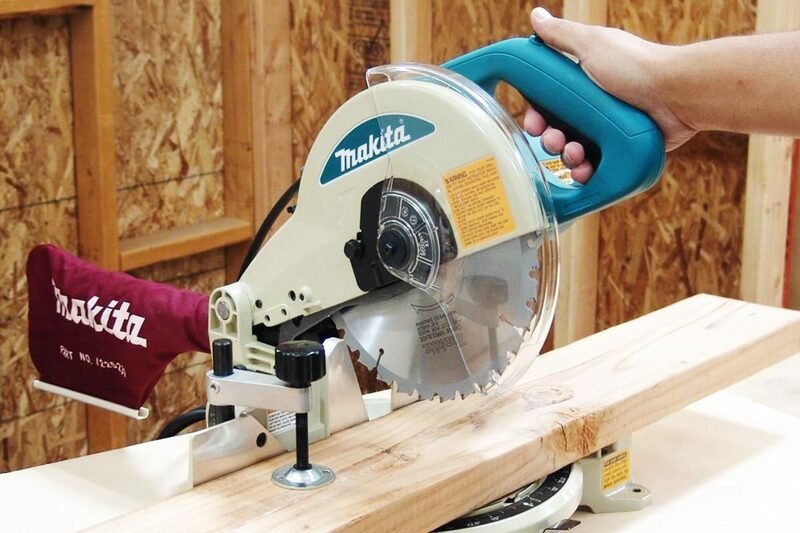 You don’t need a wooden boat project, either—the Makita will do wonders for finish carpenters, for fine woodworkers, for furniture builders or for anyone who wants a smooth finish on any piece of wood or metal. 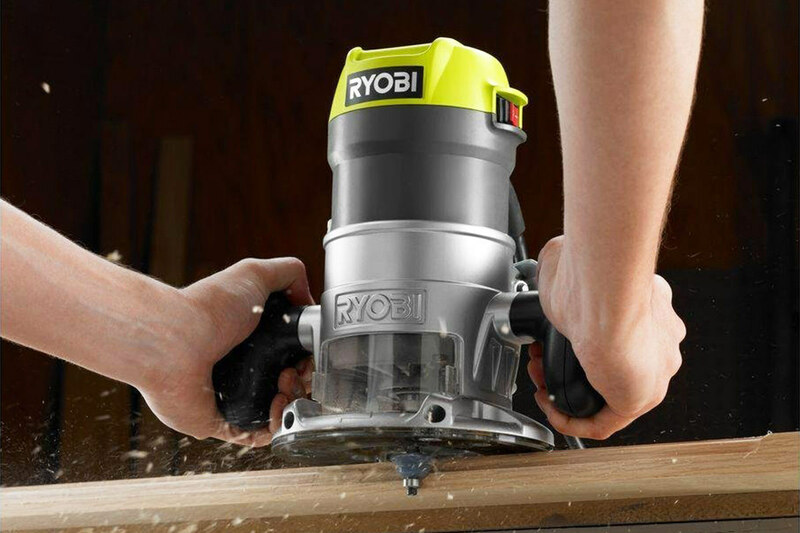 This little tool will cut your sanding time by 90%--and give you a better finish in the process. 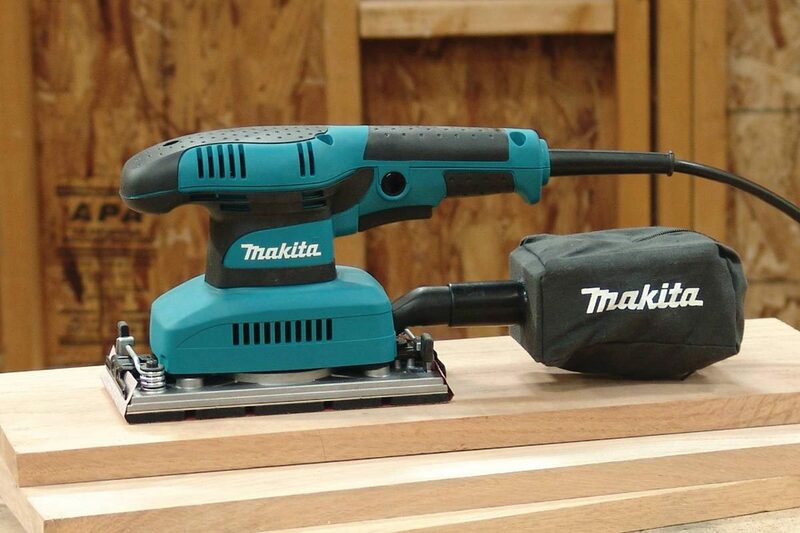 The Makita Finishing Sander gets our Contractors.com almost-perfect rating: 4.5 out of 5 Stars.